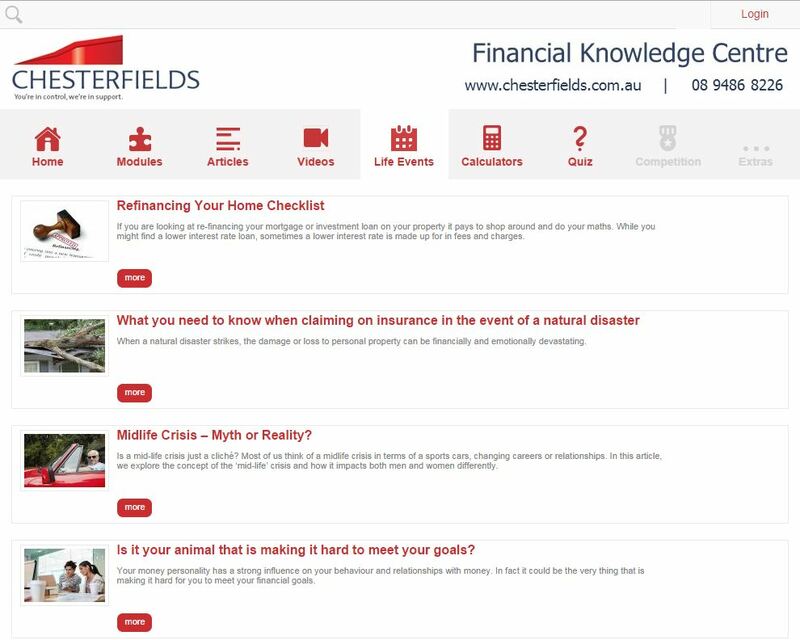 At Chesterfields Financial Services, we believe in our client’s financial wellbeing and their understanding of financial concepts. We understand that the financial industry is full of jargon and concepts that can be difficult for people to get their head around or remember. There is also constant change, whether it is tax, super or the investment world. 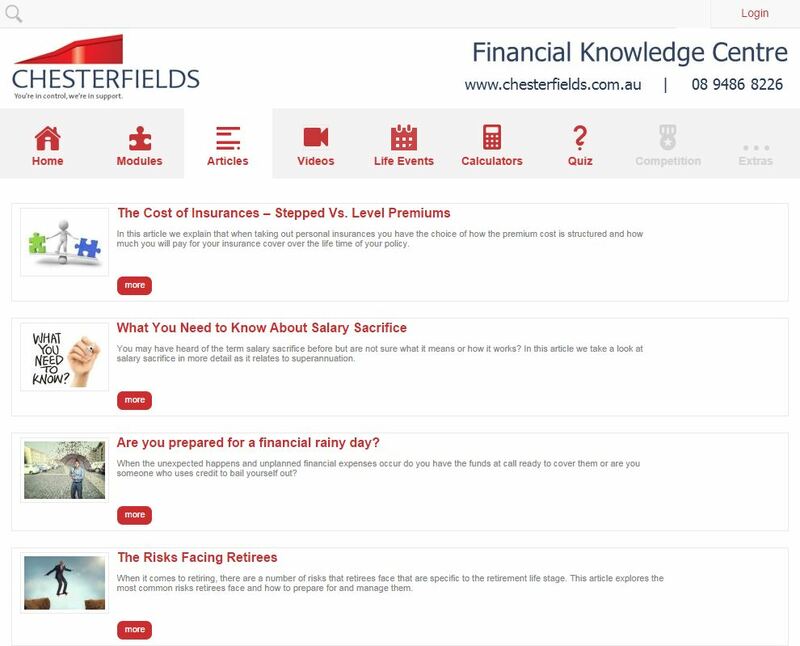 We provide a large and up to date resource for our clients to explore and grow their knowledge of money matters. 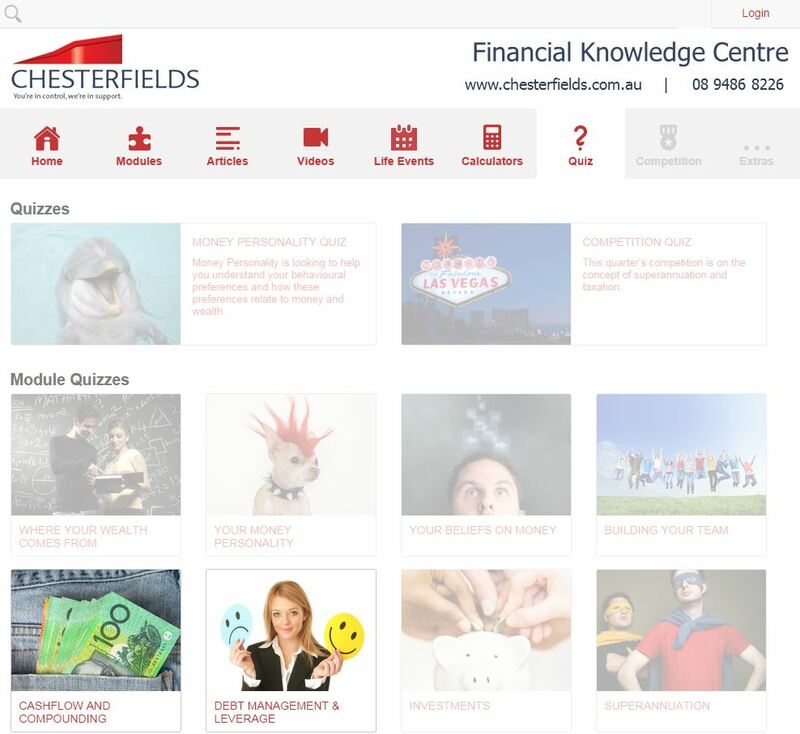 We understand that money can be a dry subject, so our Financial Knowledge Centre also has some more light hearted material and videos. We also have a great library of animated videos that explain some complex financial aspects in a simple visual manner. 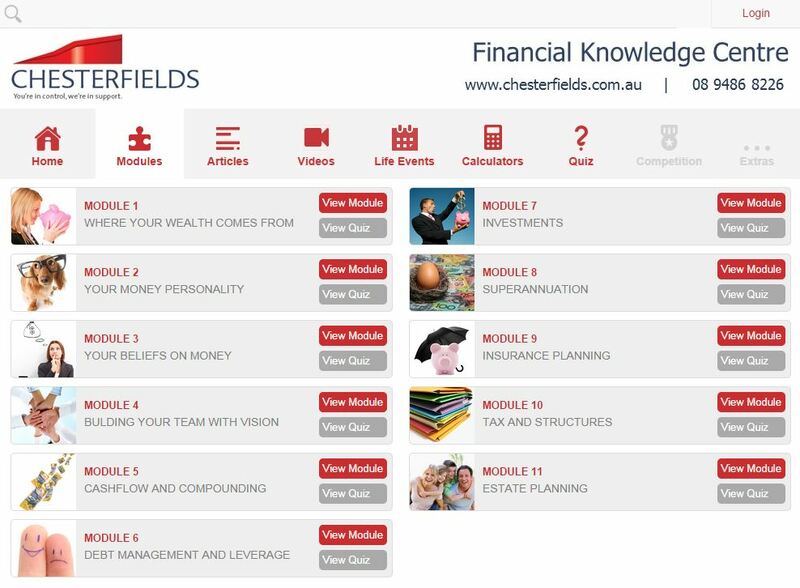 We have modules, articles, videos, quizzes, jargon busters, calculators, life events, downloads and a regular competition. We add new content on a monthly basis. 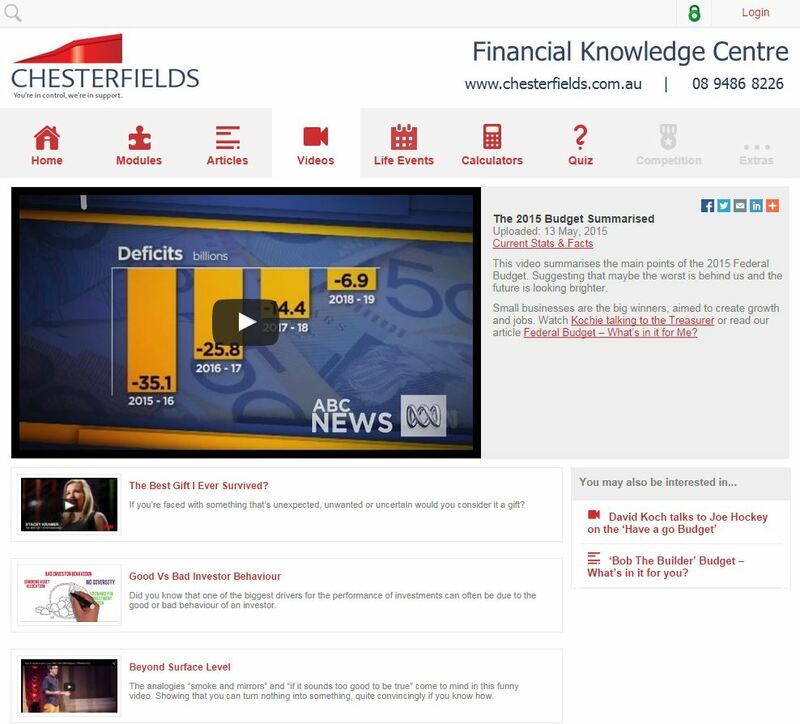 If you are a current client you can login into our Financial Knowledge Centre. 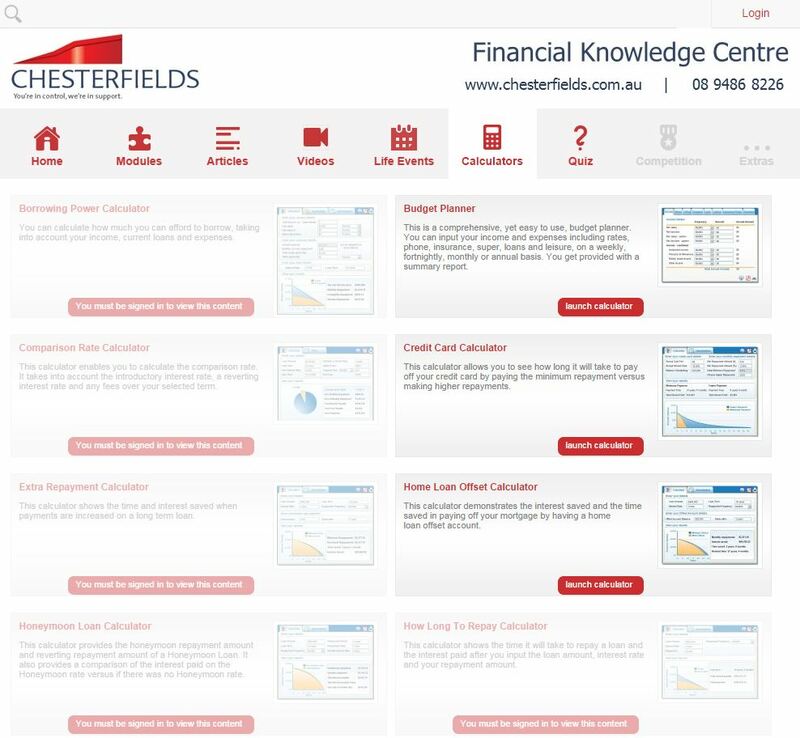 If you are not a current client and would like to explore our Financial Knowledge Centre, we have left some content public for you to view. So you are welcome to come through and read a few articles or watch a few videos.